People don’t generally like to think that anything can go wrong when they trust their health and their lives to the care of a medical professional. Unfortunately, accidents happen, which is why anyone currently or soon to be under medical care in Nevada should understand their rights as patients if they find it necessary to file a medical malpractice claim. There are several reasons why a person may become the victim of malpractice. The wrong part of the body may be treated, the wrong amount of medications prescribed, a wrong diagnosis may be made about an ailment, a scalpel may slip, or a provider may simply be too inexperienced to perform a procedure or make a proper diagnosis. If they are ever victims of medical malpractice, victims may be able to recover damages for resulting losses. It is vital that those that feel they may be a victim of medical malpractice contact an experienced Las Vegas medical malpractice attorney, like the attorneys at The Fletcher Firm today. Even though medical professionals may try their hardest to ensure the safety and good health of their patients, there is no guarantee that an accident won’t happen while a person is under medical care. An injury sustained by a patient as the result of a medical professional’s negligence or recklessness may give rise to a valid medical malpractice claim which would allow the injured patient to recover compensation for the injury or injuries sustained. Like victims of other accident injuries, victims of medical malpractice may be allowed to recover damages for medical expenses related to treating the injury, damages for lost income, any future medical expenses that are likely to arise as a result of treating the injury in the long term, and any future income which may be lost because of the injury. Some states limit the amount of damages that victims of medical malpractice claims can collect – Nevada does not. If you are injured while receiving medical care in Nevada, your injury is not automatically considered medical malpractice. Nevada law does not presuppose that when someone is injured while under a doctor’s care, the doctor is automatically liable for the injury. Instead, the injury victim must prove that a doctor acted negligently in a way that directly caused the injury. Risk is attached to every medical procedure. Doctors need to make clear to patients the potential risks associated with various procedures. Only when a patient fully understands the risks involved should he or she consent to undergo a procedure. Most physicians take special precautions to minimize risk; those precautions include patient education, having emergency equipment and staff available during the procedure, appropriate monitoring, and proper follow-up care and treatment. If a physician has done everything medically appropriate to reduce risk, yet a patient still suffers an injury while under that doctor’s care, there is no medical malpractice and no liability on the doctor’s part. However, if the doctor has not followed professional medical standards for reducing risk, the doctor may in fact be guilty of malpractice. The statute of limitations in Nevada for medical malpractice claims is four years from the date the injury was caused or within two years the injury was or should have been discovered. When the victim of malpractice is a newborn, then the limit for filing charges may be extended to the child’s 10th birthday. When the victim is legally insane, the statute of limitations is suspended until the victim is declared competent / sane. When the victim is a minor ward of the state, the statute of limitations is suspended until the child reaches the age of majority. One thing that will be a valuable asset to the medical malpractice victim is the help and guidance of an experienced medical malpractice law firm like the Fletcher Firm. Doctors, nurses, and pharmacists are three of the top five most-trusted groups in the United States, according to various polls. If a case leaves jurors with significant doubt, they will usually give defendant healthcare professionals a benefit of the doubt. 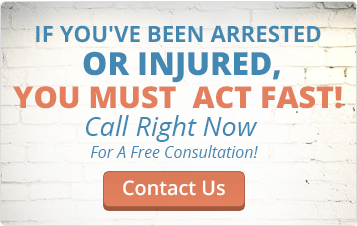 With a staff of professionals with decades of combined legal experience and close ties with medical professionals who can offer their experienced insight to support a valid malpractice claim, victims of these accidents can’t afford not to partner with a Las Vegas medical malpractice attorney from the Fletcher Firm. An action for medical malpractice will be swiftly dismissed if the person alleging the malpractice (the injured patient) fails to submit with a charge an affidavit from a medical professional that can sufficiently substantiate the claim of malpractice. This is one reason why it is such a good idea to pursue damages for medical malpractice claims with the help of an experienced medical malpractice attorney. An experienced attorney will have access to a variety of medical and healthcare professionals who can offer their insight into the facts surrounding a case and, when malpractice is evident, who can offer their testimony in the form of an affidavit to satisfy the requirements of the court. Another reason why legal counsel should be retained is because victims of medical accidents are much more likely to recover the damages they are owed than those who elect to self represent. This is primarily because attorneys and insurance representatives working for the medical professional charged with malpractice will probably be very good at getting accident victims to reduce the damages they request, often by convincing the victim that the legal process to recover more will be a long and drawn out process, or by getting the victim to believe that his or her injuries are not as valuable as they actually are. An experienced Las Vegas medical malpractice attorney won’t fall for these tactics, which is why they are much better at recovering damages owed than the legally inexperienced. As a general rule, individuals are not allowed to proceed with a medical malpractice charge just because they are not satisfied with the result of an operation, procedure, or prescription regiment, which is why it is a good idea to have a Las Vegas medical malpractice attorney review a case for merit before moving forward with recovery.